Despite having ‘fun’ in their name, we all know that funerals are anything but enjoyable. It’s either a deeply sad occasion, in which you say goodbye to a beloved friend or family member, or an awkward experience that you feel morally obligated to go to, perhaps to support a friend in attendance. However, if there’s one place where funerals tend to be a whole lot more interesting and dramatic, it’s on the big screen. They’re usually heart-wrenching affairs taking place by the graveside, or feature some crazy twist of drama where it turns out, for example, that the character had faked their own death all along. A website that’s no stranger to drama – in fact, that’s basically all it seems to do – is Twitter, which is where American author and journalist Dana Schwartz recently pitched her idea to bring a little of the big screen macabre into the real world. If you pay me $50 I'll show up to your funeral but stand really far away, holding a black umbrella regardless of the weather, so that people think you died with a dark and interesting secret. “If you pay me $50 I’ll show up to your funeral but stand really far away, holding a black umbrella regardless of the weather, so that people think you died with a dark and interesting secret,” she said. It would certainly turn a few heads, that’s for sure! At first, everyone assumed she was joking with her tweet, but she did go on to post her payment details in a follow-up tweet. Hey, you’ve got to throw your hat in the ring, right? my venmo is dana-schwartz-11 I will need the money deposited in advanced, and your obituary will need to be published in a newspaper so I can write a code on the back and leave it at your grave for someone to find. the code will be nonsense. In fact, that person wasn’t the only one – a few more payments trickled in, all for $50 as suggested. These were all made in good faith – after all, if it’s the day of their funeral, they’re not going to be around to hold Dana to account and ask her why she didn’t show up! people venmoing me: jokes on you, I'm actually coming to your funeral. I guess we’ll have to take her word for it! The thread certainly amused her 100,000+ Twitter followers, that’s for sure. 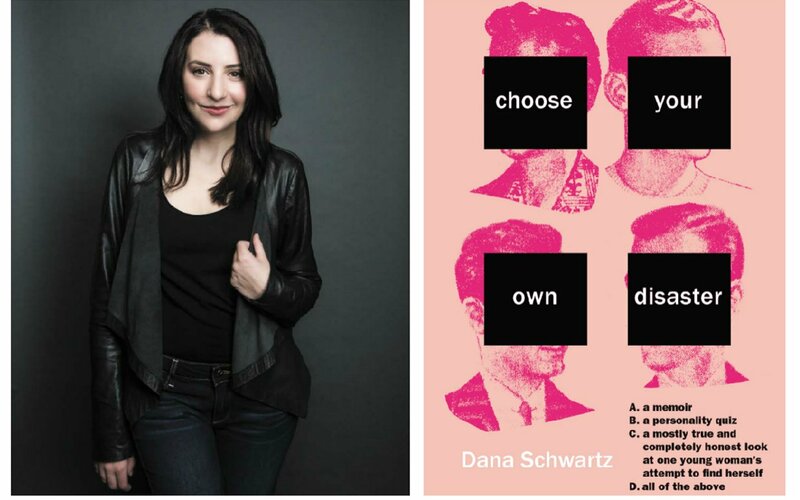 As well as writing for a number of different online publications and being a bit of a star on Twitter, Dana Schwartz is the author of ‘Choose Your Own Disaster’, which she describes as a memoir. Well, I have to admit, that does sound very interesting – although, perhaps not as interesting as having someone show up to your funeral and gaze sadly from afar, smoking a cigarette through a holder and wiping away tears with a black lace handkerchief. Congratulations to Dana on turning a viral tweet into a money-spinner. I hope she really does go through with her plans! I guess we’ll find out in due course.